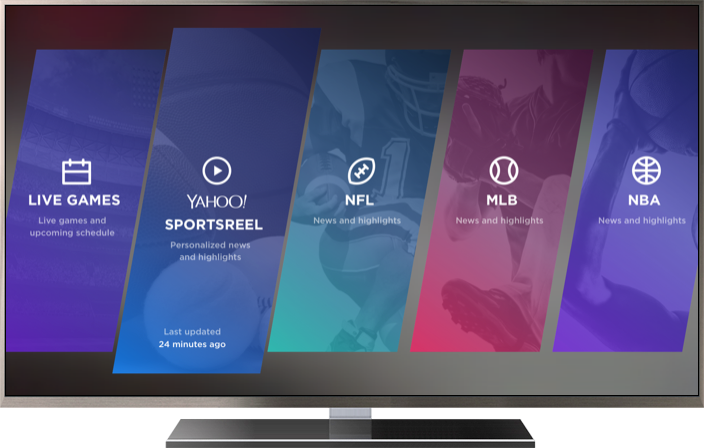 The Yahoo Smart TV platform seamlessly integrates HTML5-based applications, native code applications, and Kon-based applications. HTML5 applications are integrated into the Yahoo Smart TV environment through Application Launchers, allowing the Yahoo Smart TV system to handle the installation, invocation, and removal of HTML5 applications just like Kon applications. 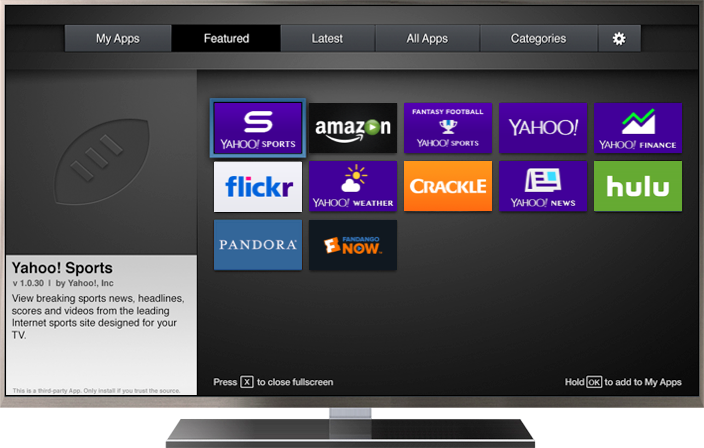 For several years, Yahoo and the manufacturers producing devices with the Yahoo Smart TV platform have been encouraging application developers to use an HTML5-based development environment rather than the legacy Yahoo Smart TV Kon environment, and we have not been allowing public distribution of new Kon-based applications through the Yahoo Smart TV App Store. Starting March 30, 2018, we are no longer allowing the upload of Kon-based applications to the Yahoo Smart TV App Store, only Application Launchers. Developers wishing to produce an HTML5-based application for a device, should contact the manufacturer for details on their development environments and integration with the Yahoo Smart TV platform. 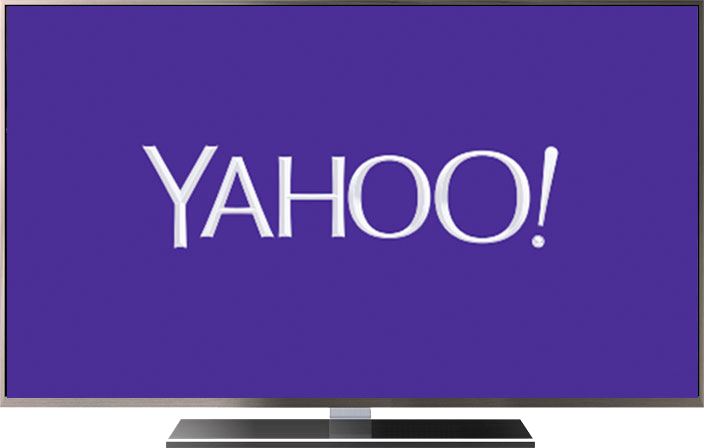 Enjoy free, unlimited, instant streaming of your favorite TV clips and Yahoo originals. Watch News, Entertainment, Finance, Sports highlights, and more for free! Watch your personalized sports news, highlights, and live games. Yahoo SportsReel is the first personalized sports service on Apple TV with in-depth news and highlights of your favorite teams and live games.